What a beautiful day at Latimer House for the Wedding of Sarah and Nye. Latimer House could not have been a better setting for their wedding, a place befitting the couple and their friends. Some truly great shots were taken and are currently being edited. Photos from the Bisham Abbey Wedding Shoot with Shae and Adrian can be found on my wedding website www.raytangphotography.com. 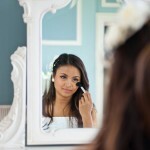 Photos from the Hedsor House, Buckinghamshire Wedding shoot have been uploaded onto www.raytangphotography.com. The conditions were perfect for the photoshoot and the bride looked fantastic!